Tickets for the 2019 edition of CHI Royal Windsor Horse Show go on sale on Friday 30th November. The annual Show takes place in the private grounds of Windsor Castle from 8th to 12th May, the only time of year Her Majesty The Queen opens the gardens to the public. The event, now in its 76th year, is a five-day celebration of horses and the very best of equestrian sport, including CSI5* Show Jumping, CDI4* Dressage, The Land Rover International Driving Grand Prix and CEI2* Endurance. The CSI5* Show Jumping showcases the highest level within the sport, as globally recognised competitors from around the world travel to compete in front of the stunning backdrop of Windsor Castle. The highlight of the competition will undoubtedly be Sunday’s CSI5* Rolex Grand Prix, which in 2018 was claimed by current World No. 2, Steve Guerdat, who came away with the €75,000 prize. The CAIO4* Land Rover International Driving Grand Prix is one of the most noteworthy Driving events in Great Britain and will add to the thrilling line-up of competitive action taking place at the Show. 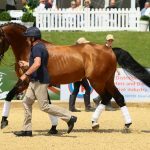 The Driving competition, in which The Duke of Edinburgh used to compete, takes place over four days of the Show and consists of three-phases; Driven-Dressage, the Marathon and Cone Driving, with 4* competitors contending to qualify for the FEI World Cup™. The strength of the horse and rider partnership will be tested during Royal Windsor Endurance, which takes place in Windsor Great Park on Friday 10th May. CEI2* competitors will ride a 120km course across beautiful countryside, taking in parts of Windsor Great Park and Ascot Racecourse. There will also be a CEI1* 80 km and Endurance GB 40km course, with all three rides conducted under FEI rules. In addition to the four FEI disciplines, there will also be over 120 Showing classes, with the event being a pinnacle of the national Showing calendar. Competitors will be attempting to follow in the footsteps of Her Majesty The Queen, who in 2017 won the Royal Windsor Supreme Ridden Showing Championship, taking the title with her homebred former racehorse, Barbers Shop. Iconic British displays and international acts will feature alongside the world class competition. 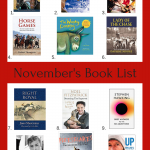 Audiences can enjoy action from The Household Cavalry Mounted Regiment and The Musical Drive of The King’s Troop Royal Horse Artillery, as well as fan-favourites, The Land Rover Shetland Pony Grand National and DAKS Pony Club Mounted Games. There is plenty for the 55,000-strong audience to enjoy around the Showground with a luxury shopping village containing over 200 fashion, lifestyle and equestrian boutiques and delicious food stalls. 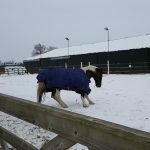 There are a variety children’s activities on offer as well as opportunities to meet the horses. 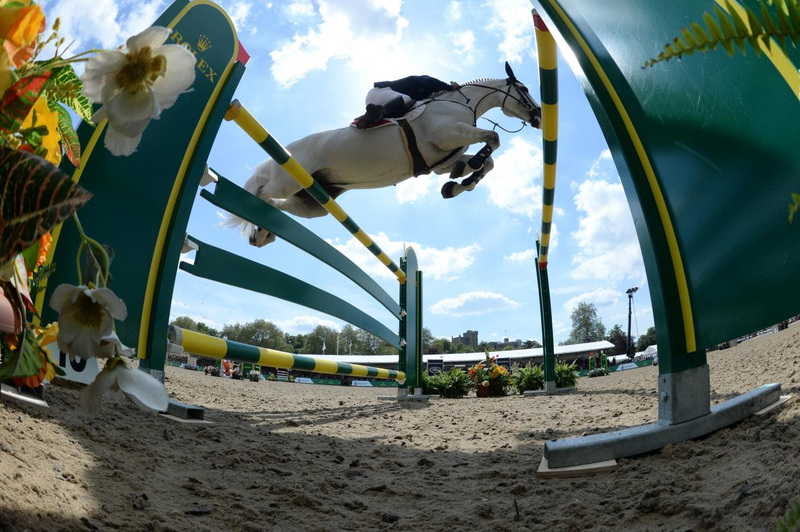 “Royal Windsor Horse Show is the most prestigious Show in the UK. It features elite-level competition across four FEI disciplines and the 2019 edition promises to bring top-class sport, along with stunning equestrian entertainment. In 2018 we had six of the world’s top ten show jumpers compete here. We believe we are one of the best international horse shows in the world”. 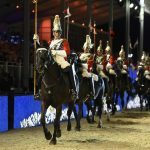 In 2019 Royal Windsor Horse Show will host ‘The Pageant’ in the main Castle Arena on the evenings of Thursday 9th, Friday 10th and Saturday 11th of May. The 90-minute spectacular celebrates 200 years since the birth of Queen Victoria and will be presented by a cast of artists, dancers and performers, together with 500 participants, over 400 horses and 30 carriages. It will celebrate the Victorian era in a theatrical tableau beneath the floodlit Windsor Castle. Tickets for The Pageant are available separately (see notes). Tickets for the Horse Show are available from just £10 and allow general access to the Showground, including unreserved seating for the daytime performances in the Castle Arena, with reserved seating available for Dressage performances, and weekend tickets. Enhanced ticket packages include the Windsor Enclosure, offering access to a dedicated bistro, bar, and pre-booked seating with excellent views of the Castle Arena. Or visitors can choose to become a Member of the Royal Windsor Horse Show Club. At the Show, Club Members and their guests enjoy the very best views of all the sporting action and entertainment in the Castle Arena with seats alongside The Royal Box and use of the Club Restaurant, Bar and outside Lawn. To find out more about the Royal Windsor Horse Show, or to book tickets visit www.rwhs.co.uk. Tickets can also be purchased by calling the box office on 0844 581 0755 from the UK and +44 (0)121 7966290 internationally. Windsor residents should call the Windsor Information Centre on 01753 743589. More information on The Pageant at Royal Windsor Horse Show can be found at www.windsorpageant.co.uk.